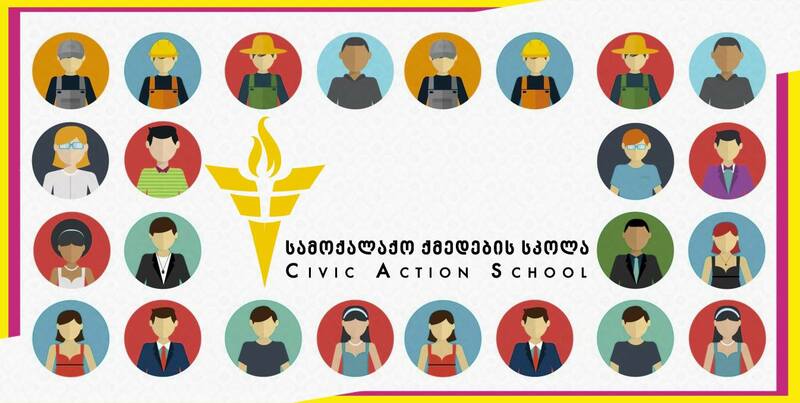 The Civic Action School – deadline for applications is on 14th of July at 23:59. The Civic Action School (CAS) – project organized by Civic Action™ with the support of Council of Europe and under the Patronage of the President of Georgia HE Giorgi Margvelashvili, aims to create an independent, democratic, youth-led platform representing Young Leaders from all around Georgia. The CAS aims to empower young people to actively participate in their respective communities and the society, in general, to improve their lives by representing and advocating their needs and interests. The CAS united the most outstanding students from major universities in Tbilisi – organizers, inventors, leaders, and more – the people who are altering the civic engagement landscape. Our goal is to help students discover their potential and to help the people who are interested in becoming more involved in civic life but don’t know where to start. The Civic Action School welcomes Bachelor’s and Master’s degree students from Georgia.